While domestic demand has been strong since the referendum, this has proved to be short lived and secured against personal credit, increasing domestic debt to higher levels than have been experienced since 2008. Some businesses have benefited from the loss of value in the pound through exports, but this growth should be seen in the light of increased costs of imported raw materials and domestic labour costs that have yet to be passed on to consumers. There has also been an increased interest in takeover activity for UK companies now in the bargain basement. UK tax income has been high in January 2017 but reducing net migration rates and company relocations will lead to a lower tax take. Will these increasing labour shortages in the health, care , agriculture and hospitality sectors be filled by the increasing numbers of unemployed, left behind as companies relocate inside the EU? Meanwhile, the Prime Minister has stated her objectives in the post Article 50 negotiations in a White Paper that saw a return to her comfort zone as a Home Secretary, an office that she held for six years and which provides her inner core of Brexit advisers. While the appointed Home Secretary is left making small statements with a stern face, the Prime Minister remains occupied with migration numbers and controlling the borders, primarily to resist potential terrorists, even though most of these are home grown. These issues are important but do not recognise that a weak economy will give rise to more tensions and potential unrest. The last few months have therefore demonstrated some activity but it seems likely that triggering Article 50 will settle nothing, for the following reasons. Firstly, as Tony Blair and Anatole Kaletsky have stated, the prerequisite of democracy requires that there is an open debate on the consequences when they are fully known and the opportunity of individuals to change their minds – this is what periodic elections are for. Secondly, there has been no engagement on the principles that will remain after the negotiations and how they will relate to the UK’s unwritten constitution. These include subsidiarity, cohesion – an EU principle that first emerged in 1959 and is now finally being embraced by the UK government and Parliament – and the principles of equity, fairness and access. Thirdly, the policies and programmes based on these core EU principles, underpinned by regulations and directives, will remain in currency not least for those companies and organizations that want to remain on trading terms with the EU. But how long will they last in practice? Trade deal pressures from the US could undermine many of these core principles – depending on how needy the UK is at the time of trade negotiations. Those who want to challenge the government approaches to standards for water and air quality will have no recourse to the ECJ or ECHR. The UK will no longer be eligible to join the Council of Europe and appears to be likely to be isolated. If the UK wants to leave the EU to restore and enhance its world leadership role, it will need some friends and followers. 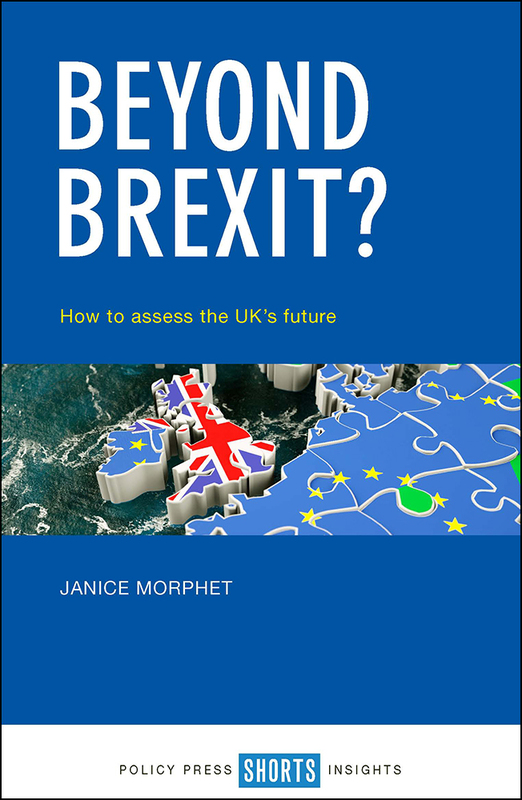 There are responsibilities on all of those who can advise on the implications of the areas of legislation that will be renegotiated as part of Brexit and how new UK policies will be developed for the future. For those who have worked with the Prime Minster on security issues there has to be a recognition that disregarding the performance of the future economy of the UK may result in more discontent and social unrest. In pursuing a narrow defence and security agenda above an economic one, the Prime Minster may be encouraging what she most fears. For those who are engaged in delivering public services, there will be a need to demonstrate what the effects will be of a return to centralisation. Every proposal that comes forward in the Brexit negotiation needs to be considered against what might remain and what might be lost and the cost of this to society. The negotiations may also be packaged – much will be in the small print and the implied agreements. But the greatest challenge will be how to replace those foundational principles that anchor EU legislation and which serve as a means for individuals to test their implementation. What rights and principles will replace them in the UK constitution and how will they be secured in a meaningful way? Reblogged this on News Sietk Blog.